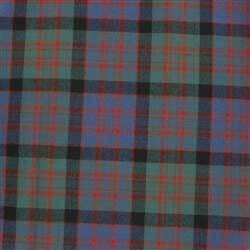 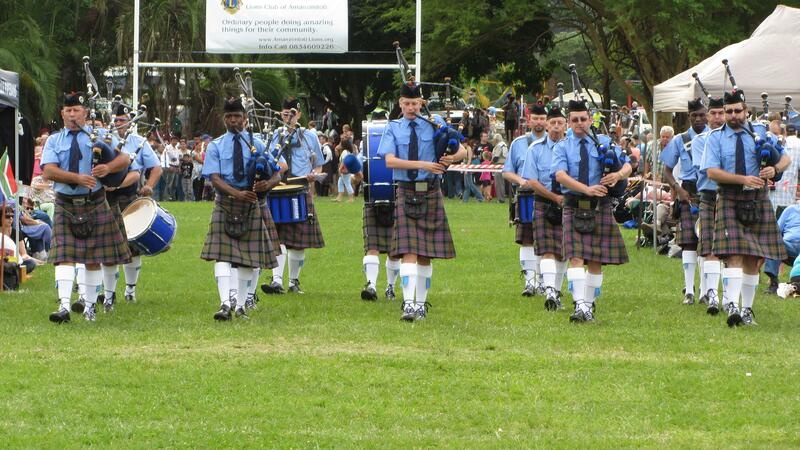 We are a grade 4 pipe band located in Cape Town, South Africa. 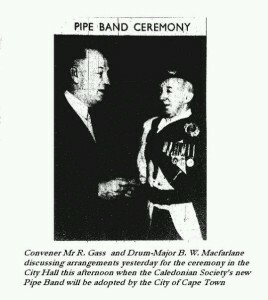 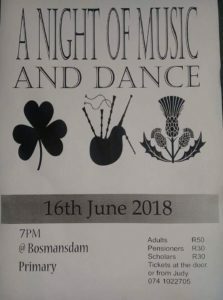 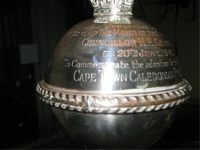 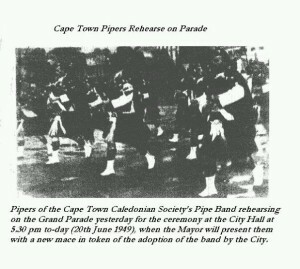 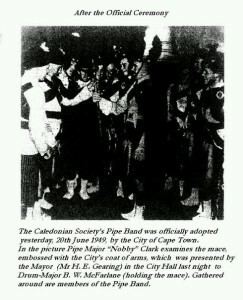 In 1997 the Cape Town Caledonian Pipe Band started to attend competitions, and to start off with, the band attended five graded gatherings that year. 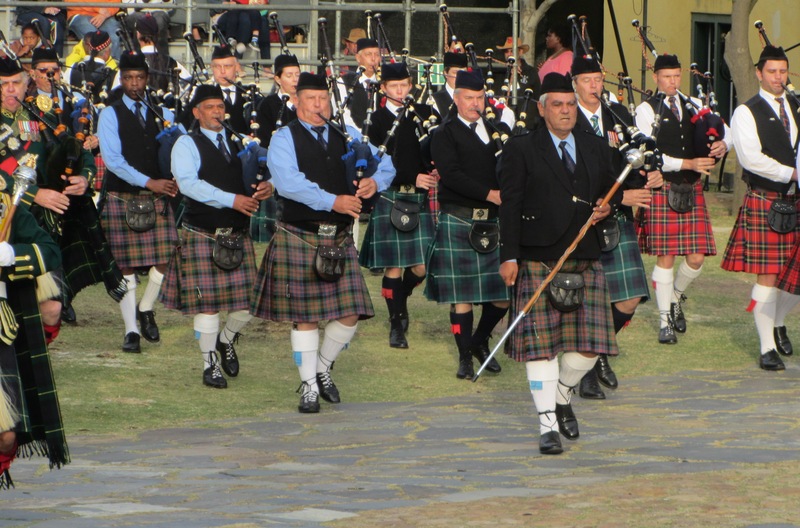 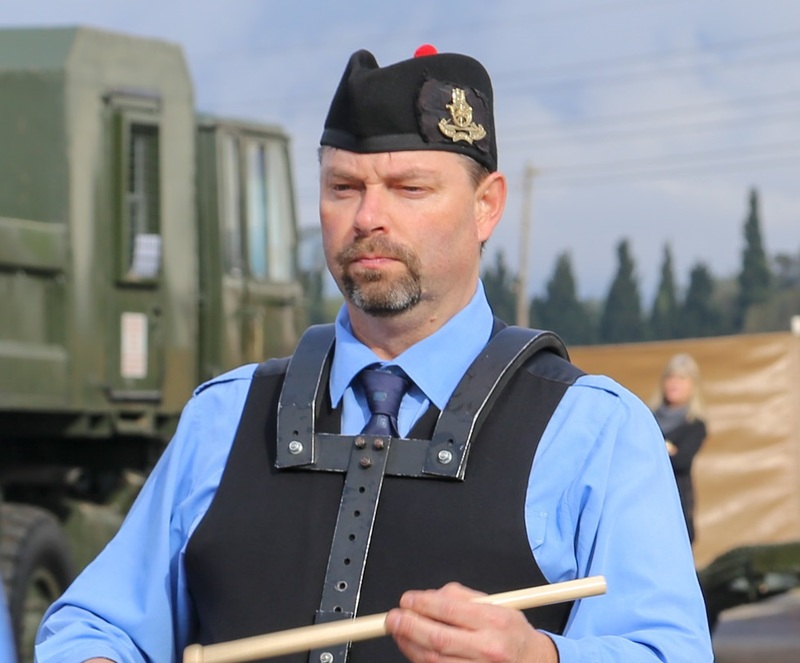 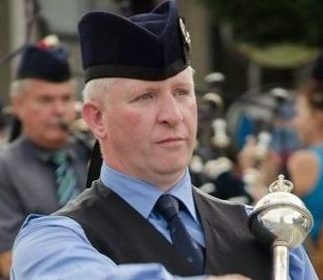 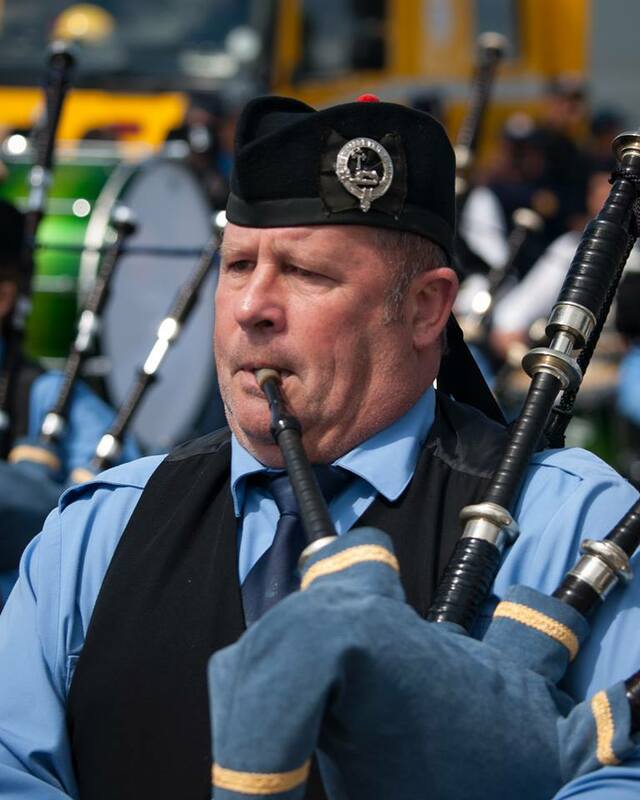 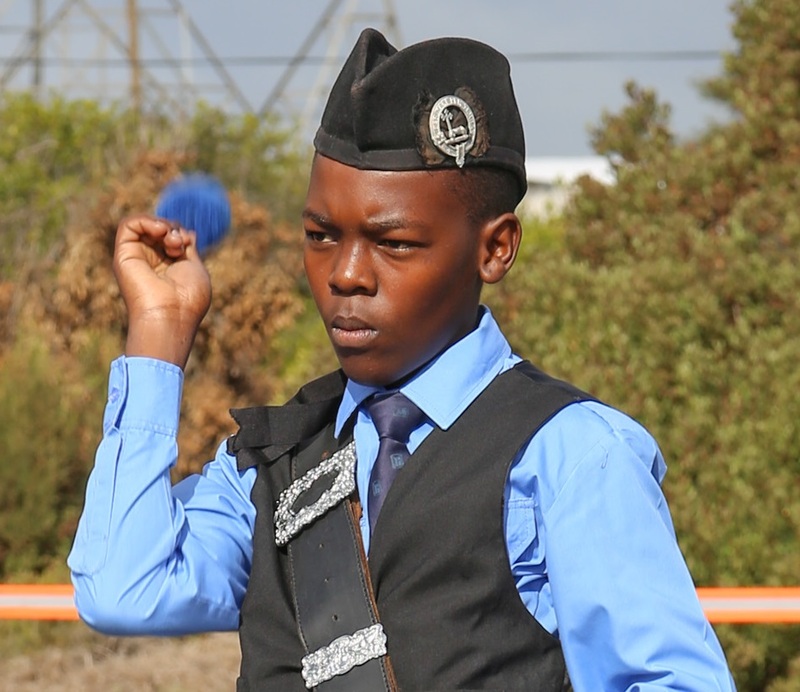 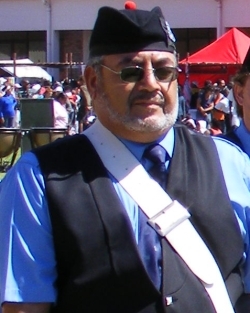 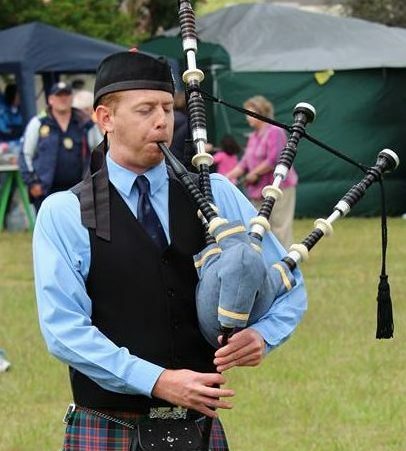 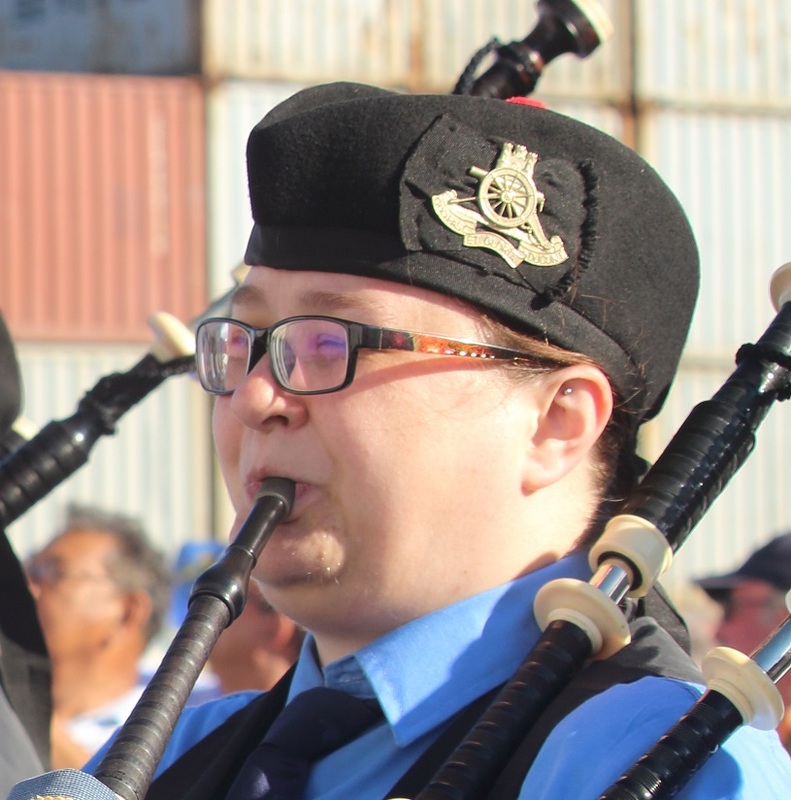 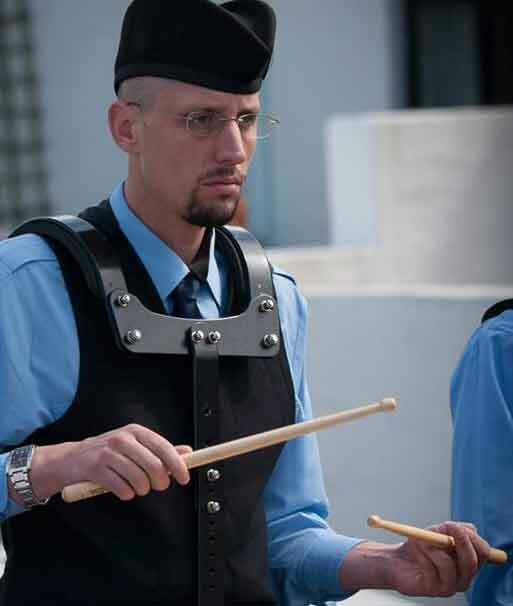 The Cape Town Caledonian Pipe Band has a long history of related band members, in some instances up to 5 members of the band. 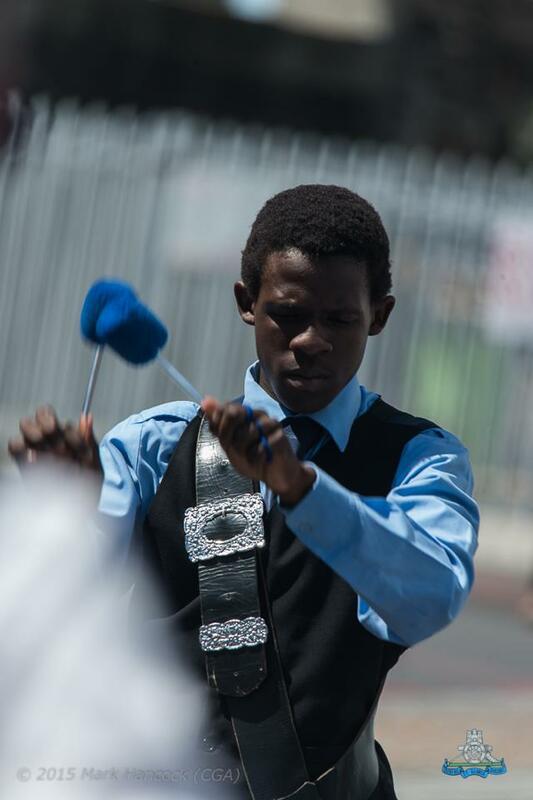 Passion leads to opportunity, opportunity leads to performance, performance leads to success! 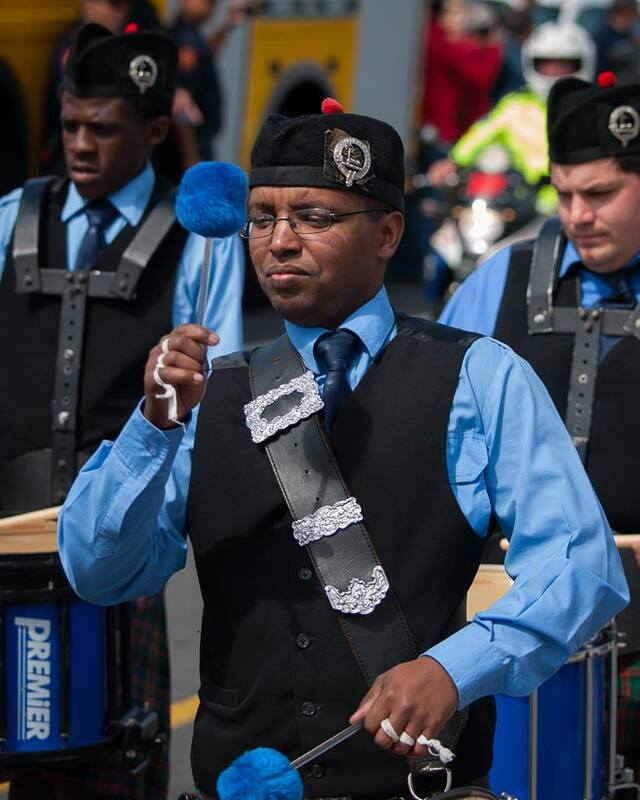 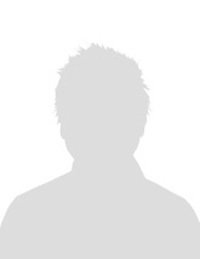 We believe in a diverse range of personel to bring creative skills, thoughts, and ideas to the band. 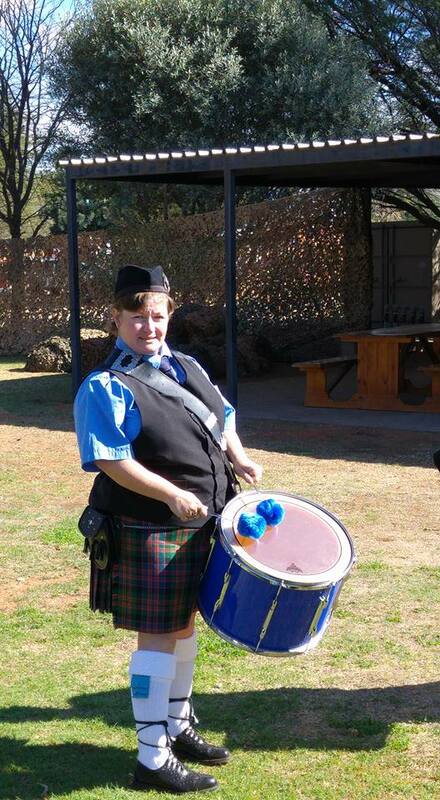 Our dedicated band members are happy to play at any function. 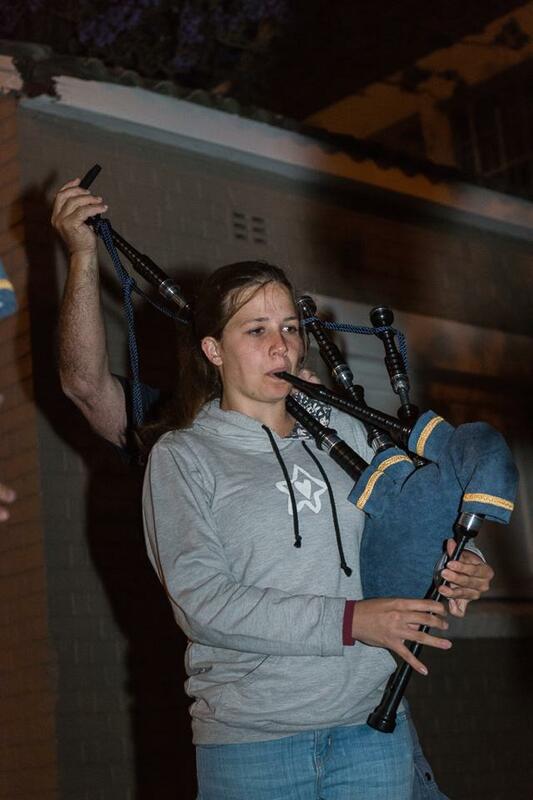 We have played at many year end functions, Christmas parties and award ceremonies for many different well established companies. 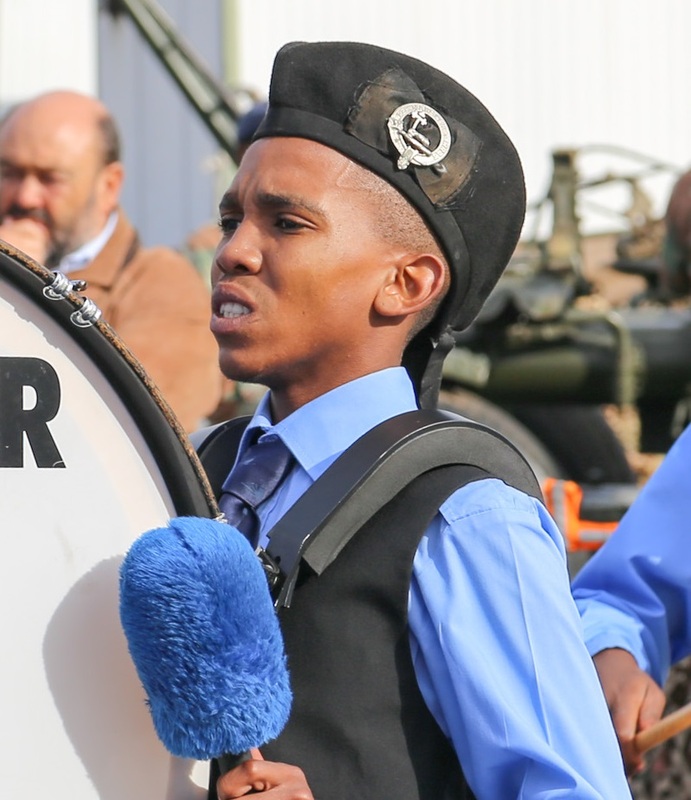 We have played at events all over Cape Town ranging, from the Bellville velodrome, Grand West Casino to the CTICC. 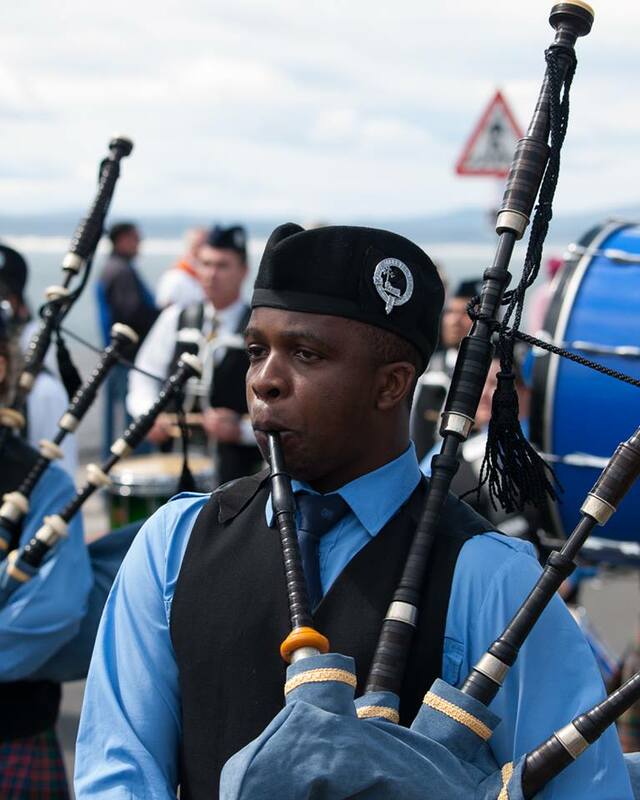 We have played at many social events such as birthday parties, weddings, markets, night clubs and music festivals. 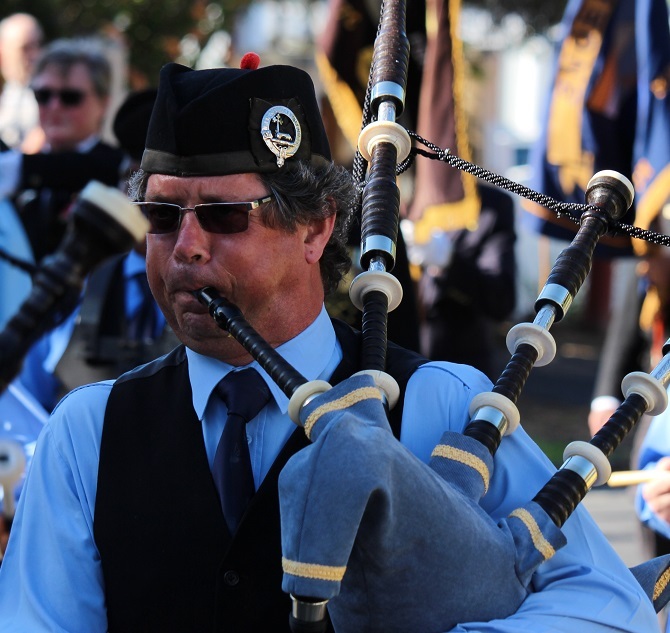 We have played at many memorial services through out the Cape Peninsula, such as MOTH memorial services and private memorial services. 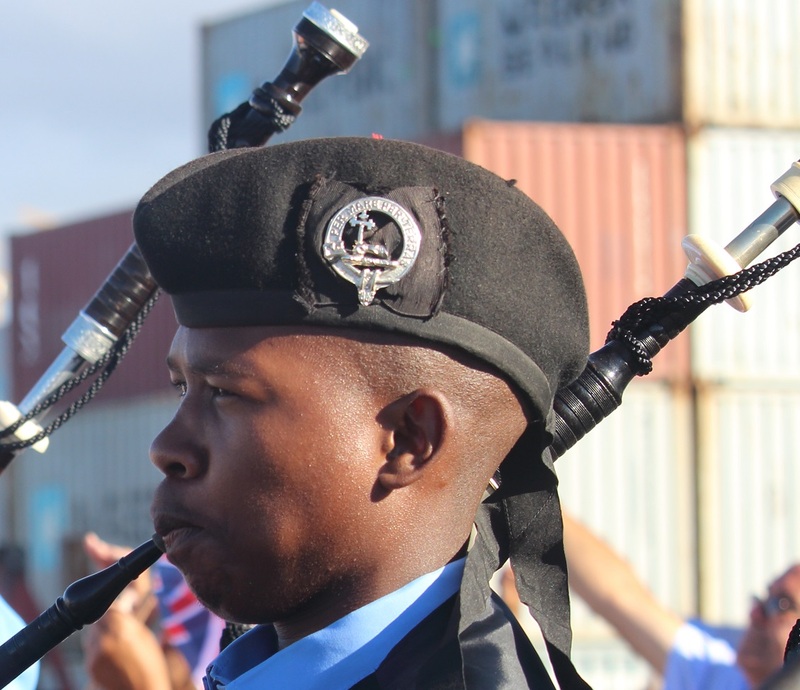 What an honor for the Cape Town Caledonian Pipe Band to perform for the RMS St Helena, her last voyage from Cape Town to St Helena. 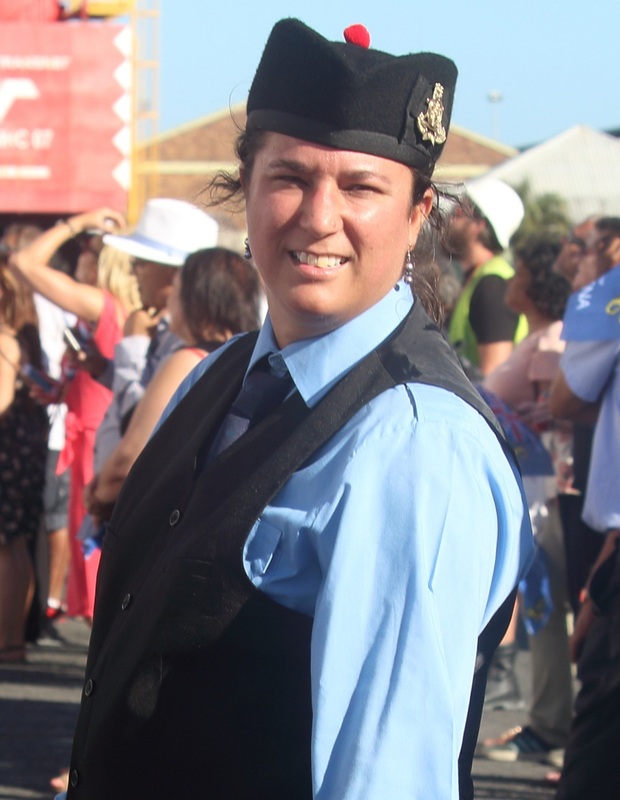 The CTCPB feels rather honored to be invited to perform for the RMS St Helena's final voyage on the 24th January 2018. 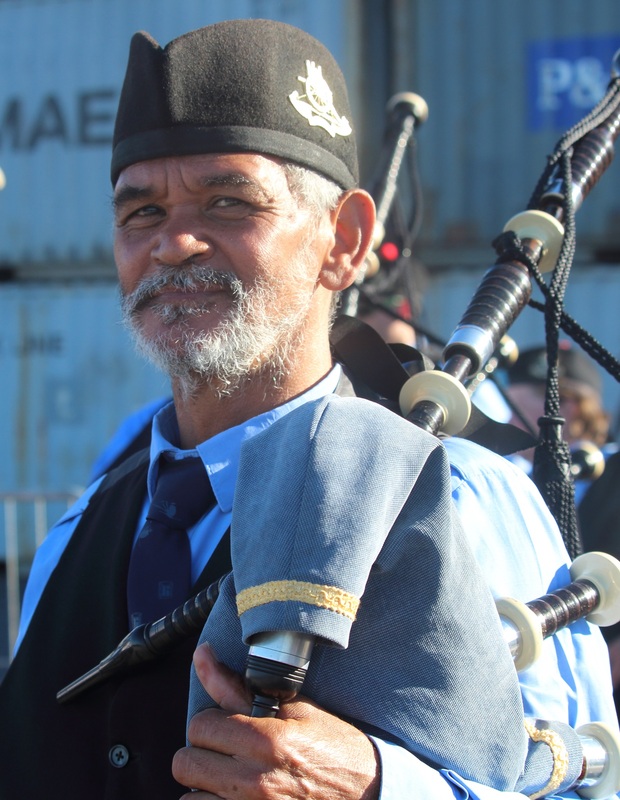 The RMS St Helena is unique. 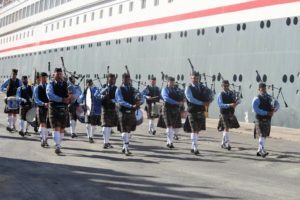 She is one of only two ocean-going vessels in the world still to carry the venerable title of Royal Mail Ship, held in the past by so many famous British passenger liners.